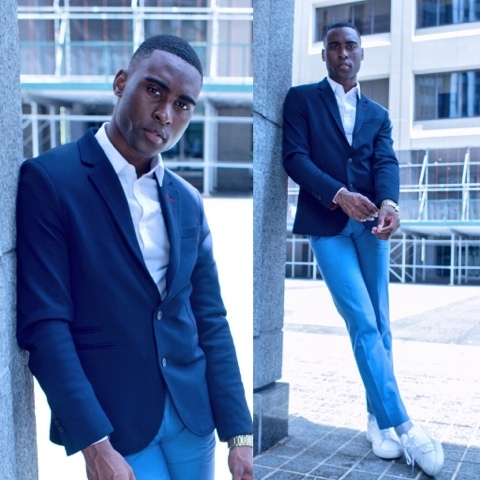 Day 1 of Men's Fashion Week in New York I wanted to dress pretty I didn't know what to expect I didn't want to stand out too much but then again I didn't want to blend in too much. 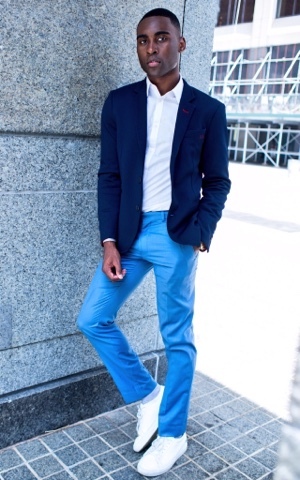 I went for a nice dark blazer and bright colored trousers for a cool summer look. I opted for sneakers instead of dress shoes since I knew I'd be running all over New York during Men's Fashion week. 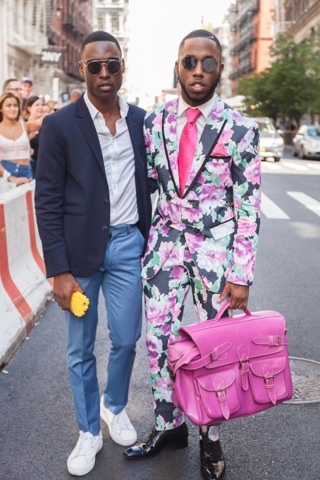 Paris and I outside during the SuitSupply presentation doesn't he look amazing?